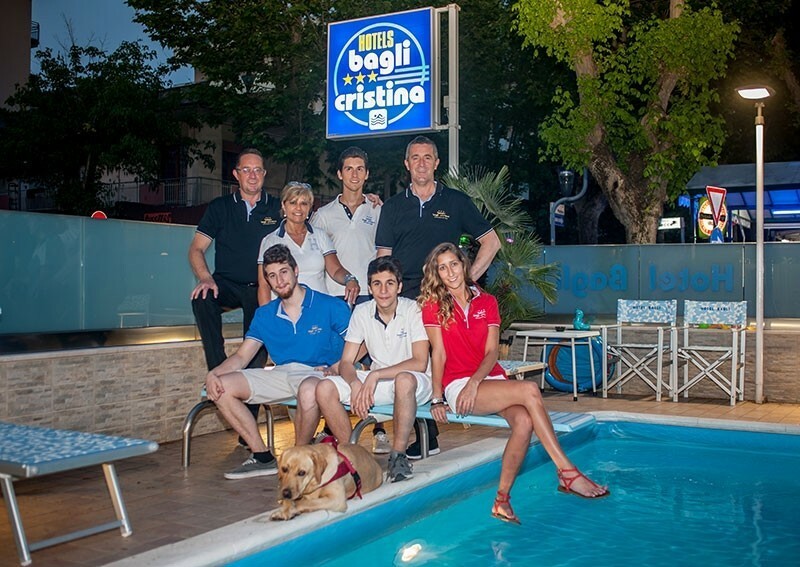 The restaurant of hotel Bagli and Cristina each day provides its guests with accurate choice of menu of fish and meat dishes and tasty traditional specialities from romagna and international. 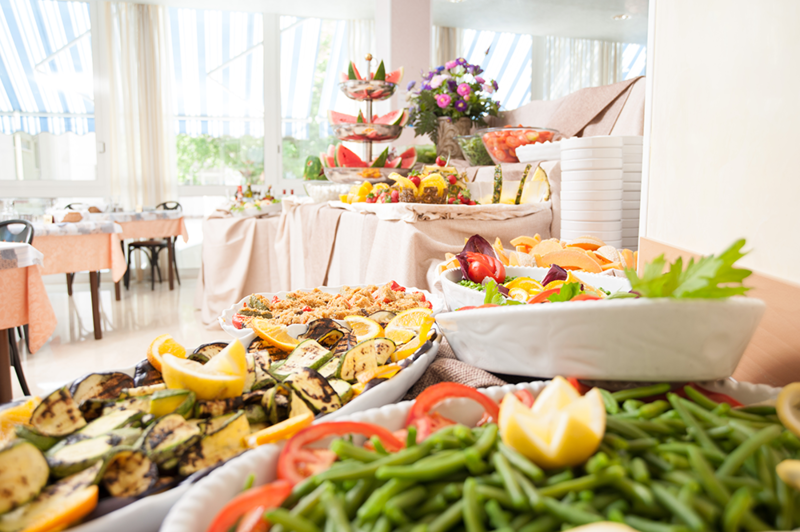 To accompany the main dishes, for lunch and dinner you will find a rich and tasty self-service buffet of appetizers and vegetables. 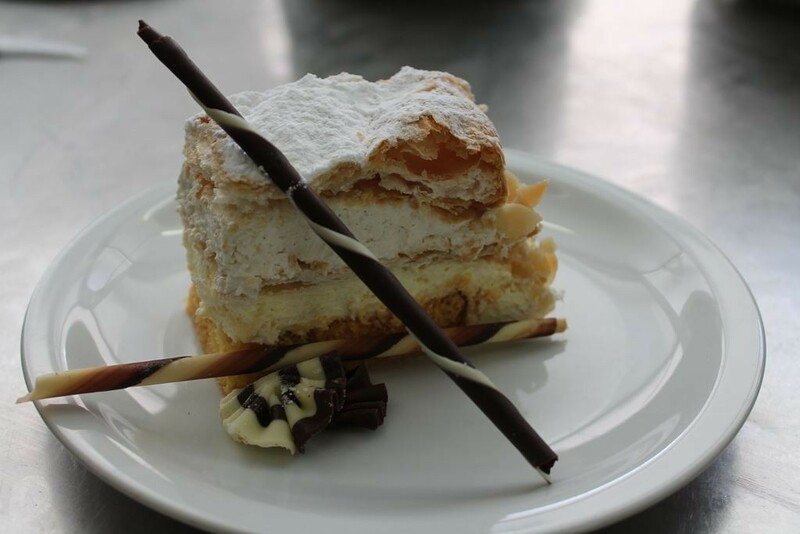 To complete the meal, there will be desserts prepared daily by our chef, plus fresh fruit and ice cream. As always, special attention goes out to the families and to the needs of children. A fully equipped kitchen is available 24 hours on 24 for the preparation of meals, for heating a baby's bottle or to preprare a snack for the appetites of young children, to ensure that really all you feel like home! 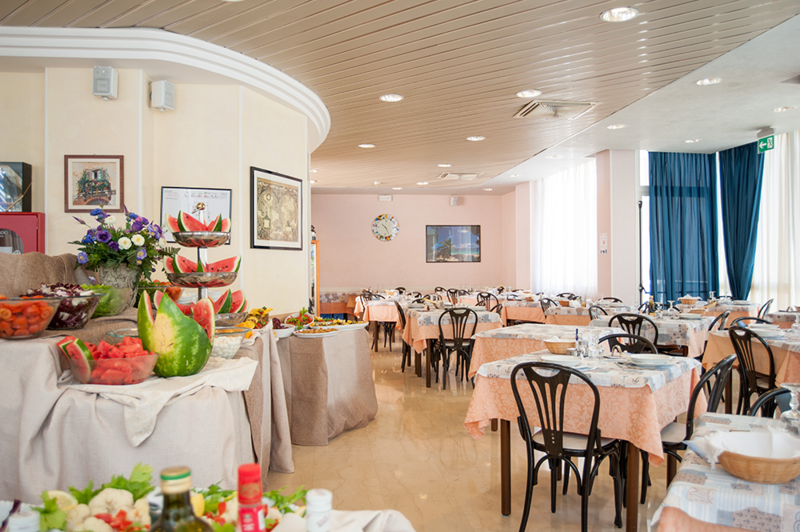 The breakfast of hotel Bagli and Cristina is composed of a rich international breakfast buffet with pastries, always fresh , prepared daily by our Chef: donuts, cakes of different types and croissants, in addition to the typical "bread and jam" with different types of bread and jams. 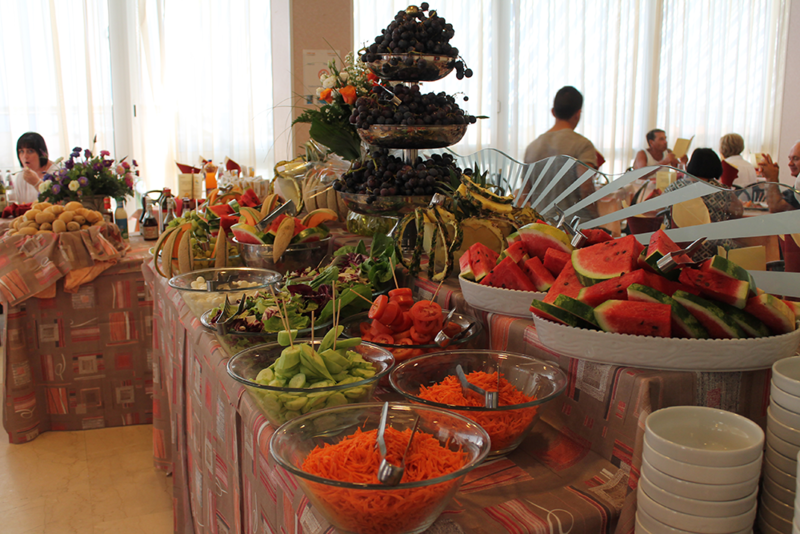 To accopagnare these delicacies you will find of course coffee, cappuccino, hot chocolate, tea, milk and fruit juices. For those who love to make a breakfast really complete, available on the buffet eggs, bacon, various meats, cheeses, cereals, yogurt and fruit. A cooking secondary education is available to families and new mothers who want to prepare baby food and first dishes healthy and tasty, even for the very young. The kitchen is particularly cured and every day are proposed, with local and international specialties can choose between 3 menus of meat and fish. Periodically are organized themed evenings where you can enjoy excellent meat "in bellavista", a beautiful and rich buffet where you can taste the delicacies of the local cuisine and spend pleasant moments of sharing and fun with all the guests of the Hotels Bagli and Cristina. The Staff dining room and kitchen is also always available for changes to the menus in case of special dietary needs or intolerances. As always, we will try our best to meet the needs of everyone and make everyone feel at ease.